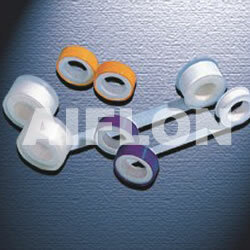 ﻿ PTFE Thread Sealing Tape (with/without oil) - China PTFE Thread Sealing Tape (with/without oil) Supplier,Factory - Cixi Aiflon Sealing Materials Co.,Ltd. Gaskets for threads and screwed connections. Resistant to water, steam, oil, solvents, acids. Wind the strip in antiscrew-tightening direction. More other graphite and PTFE products are also available on request.